Honeywell is a recent entrant into consumer air purifiers in the Indian market but they bring with them a trusted global brand name. If the recent campaign (October 2017) by Honeywell staring Karina Kapoor is anything to go by, the company wants to make a big impact in the air purifier segment. Honeywell is up against some tough competition. Philips has early mover advantage, models in all price brackets and a tonne of great reviews on its products. Mi, the Chinese company better known for its Xiaomi smartphones, has also released an air purifier that the editorial team here found hard to fault. Read about it in our Mi Air Purifier 2 review. This review looks at Honeywell’s entry level air purifier, the Air Touch A5. Does it have what it takes to give Honeywell a foot in the market? At Rs 9,925 it competes with the Philips AC1215 and the Mi Air Purifier 2. 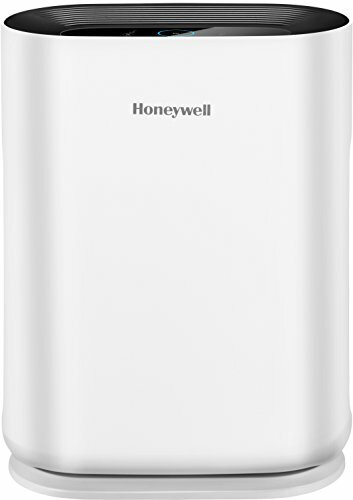 Looks wise, the Honeywell is more stylish than other air purifiers in this price category. 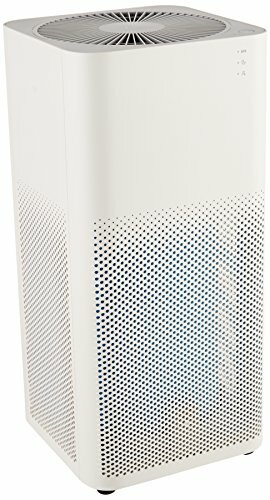 The Mi Air Purifier 2 is OK but is boxy and the Philips 1215 air purifier looks like it was designed in a hurry to create a product at a much lower price point. You also get colour options with the A5: white or gold. When the fan in the unit is running at full speed, the A5 generates upto 60 decibels of noise, which makes it one of the noisiest air purifiers that we’ve reviewed so far. Most brands try to keep their air purifiers under 55 decibels because they are used in the bedroom and having a noisy fan isn’t conducive to sleep! On lower fan speeds, the unit is still producing 46 decibels of noise. To give you some context around these numbers, the A5’s quietest noise is louder than some more expensive air purifiers (like the Philips AC4372) loudest noise. 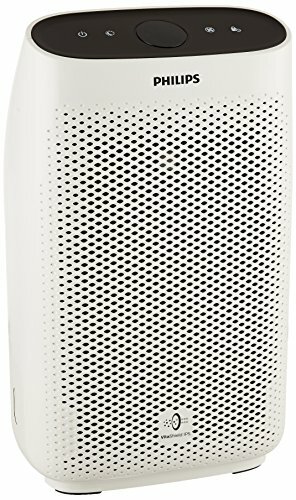 The Honeywell A5 Air Purifier is in the basic category of what you want an air purifier to do: clean the air. Everything else is bells and whistles. In this respect, the only control you have over the air purifier is the fan speed which comes in three settings. As discussed earlier, even on the lowest fan speed, the unit makes an audible noise – a far cry from the whisper quiet operation of some air purifiers. A nice touch is the LED air quality indicator on the top of the panel. Red for poor, orange for medium and green for good. This tells you that the unit is working. If it is particularly polluted in your area then you might never see the green LED, even if you keep the air purifier running all day long – there’s nothing wrong with the air purifier, there’s something wrong with the amount of pollution we have to breathe in our cities! Finally, there is a sleep mode where the LED lights turn off and the unit will switch itself off. This is fine for less polluted cities but since air pollution is high all night long, it’s not recommended to switch off the unit at night. Aside from a child lock to prevent the (few) settings to be changed, that’s all there is to the the A5. An on and off switch, and a three speed fan control on the top of the unit. At this price, you really are getting the of what an air purifier needs but the air quality indicator is a nice addition. The A5 uses a very simple air filtration process. Air passes through a pre-filter which is similar to the filter you might find on an air conditioning unit. This removes most of the dust, hair and particles as small as PM10 from the air. Just like your A/C filter, these can be easily washed and should be done so every week. The next stage is the compound HEPA and activated carbon filter. The HEPA (which stands for Highly Efficient Particle Arrestor) filter removes particles as small as PM2.5. These are tiny, particles invisible to the human eye but can enter your lungs and even pass into your bloodstream, causing all kinds of respiratory problems. The cities of India are plagued by PM2.5 particles at levels several times higher than what is allowed under Government regulations and World Health Organization recommendations. The activated carbon part of the filter removes volatile compounds and room odour. This combined filter has a lifespan of around 3,000 hours (about four months), but this can be drastically shortened in heavily polluted cities like Delhi during the winter. The coverage of the A5 is 323 square foot and at full speed the unit can clean an area of this size in 15 minutes. This gives it a Clean Air Delivery Rate (CADR) of 250 m3/hr. The coverage means it’s ideal for small rooms, but we have some reservations about using in the bedroom due to the noise. If you can sleep with the ceiling fan on full speed, then you might not find any difference with the air purifier noise. Given the coverage and CADR, the Honeywell Air Touch A5 struggles to meet the performance of the Mi Air Purifier 2 and the Philips AC1215. Running an air purifier won’t add too much to your overall electricity costs. The Air Touch A5 consumes 53 watts, which is a little on the higher side for an air purifier of this size, but it’ll cost no more than a 60 watt bulb to run. The real on-going costs come from the replacement filters that you have to buy. HEPA filters trap the smallest of particles but after three to four months their efficiency reduces as they become saturated with those particles. Unfortunately you can’t just wash these filters like you would an A/C filter, they have to be thrown away and replaced. The replacement costs are around Rs 3,000 so you need to budget for that. We honestly expected more from the Honeywell brand. The Air Touch A5 is slightly more expensive than the Philips AC1215 and the Mi Air Purifier 2, but is louder, requires more power and has a lower performance than these models. However, on the aesthetics front, the A5 has these other models beat hands down. What’s the warranty on the Honey well air purifier? All Honeywell air purifiers come with a 1 year warranty. This is on on the mechanical parts though, not on the filters. Can it tell the actual air quality? Is there an indicator? There is an LED coloured indicator that tells you if the air quality is good, moderate or bad but it doesn’t tell you the precise air quality. Only more expensive ones do that or the Mi Air Purifier 2 does it via the app. Will this be actually useful in the Delhi smog and pollution? Can I keep it running all day to clean the apartment? Honestly, we have our doubts. It’s great for most cities, but the smog in Delhi right now only an industrial air purifier is going to make a difference and you’re going to need to spend three or four times more on it than you would on the Honeywell A5. Philips does a good range, and Honeywell also does more expensive air purifiers that are better suited to Delhi’s air pollution problem. You can also try the Honeywell air mask when you are outside in Delhi. As for whether you can keep it running all day, yes, absolutely, that is recommended. However, note that the limited coverage of the A5 is limited to a single room and won’t be effective in a multi-room apartment unless you have one in each room.